Medicine has always been good at inventing new terms to describe the human condition. Traditionally the words were based on Greek and Latin roots. That's why we get words like "hypokalemia" that can still stump new medical students, National Spelling Bee contestants, and electronic medical record software engineers alike. Later on, the French made their contributions to the medical dictionary with lyrical terms all their own. Phrases such as peau d'orange (to describe the orange peel looking skin of advanced breast cancer) and cri-du-chat (the crying cat sound a child makes when he or she suffers from chromosome 5p- syndrome) flummoxed our less savoir faire young doctors. However, they do make the speaker seem more sophisticated and worldly if he can easily slip French words into a medical conversation. American medicine has been in ascendency for the last couple of centuries. Therefore it is appropriate that American English words (not equivalent to British English) would make its way into a doctor's dialogue. Unfortunately we have not been quite as creative at inventing new elegant sounding phrases like the French. For instance, we have descriptions like "cobblestone" to characterize the look of the intestinal mucosa of a patient suffering from inflammatory bowel disease. Or we get a contribution from the uniquely American melting pot with a term like "schmutz" to represent nonspecific debris on the body. Descriptively accurate? Yes. But decidedly pedestrian. All of which leads me to a head turning note I saw on a patient in our hospital computer. It would seem that despite millenia of development of medical terminology, some young doctors feel they have to come up with new words to truly chronicle the plight of their modern patients. Thus the appearance of the phrase "stably-sick". Now some purists would say that doctors should never refer to patients as stable. Stables are where one beds down horses for the night. But since it has been universally used to refer to patients who are neither deteriorating nor improving, I'm not going to quibble with it. But then this doctor can't quite bring himself to say the patient is stable. The patient is also very ill as illustrated by the need for IV pressors to maintain blood pressure. So is the patient progressing or sinking? Hmm. Let's think about this for a minutes. Since we can't make up our minds, let's just mash two words together and broadcast to every doctor and nurse who reads this note that despite our years of medical training we are too indecisive to truly understand this patient's medical condition. Maybe medical schools should include a semester of French as part of the curriculum. That way if these new doctors are going to start making up words and putting them into legal documents, they can at least sound educated, not like graduates from the generation that gave us "twerking". It's a rare gloomy and rainy day here in Los Angeles. The patients are all running late because of the horrendous traffic that paralyzes the city every time a few raindrops slicken the roads. So I thought this is a good opportunity to have a few laughs while at work, especially if it is at somebody else's expense. Enjoy. I saw this chart on the Facebook page of a British anesthesiologist (anaesthetist if you're speaking the Queen's tongue).There is only one thing wrong with this picture. Can you guess? There were no cavemen in 2,000 B.C. Everything else is about right. Which Institution Is The First In The Country To Embrace Sedasys? Though the Food and Drug Administration approved the use of Sedasys in 2013, it has taken a year for the first hospital to accept its use in a clinical setting. 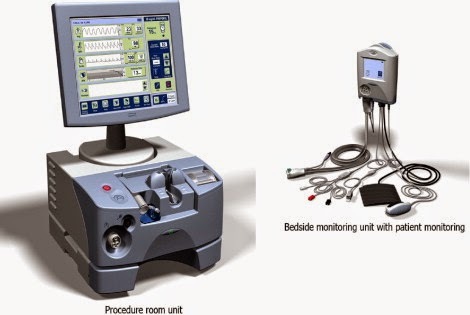 Sedasys is a computerized system that administers propofol autonomously without the presence of an anesthesiologist in the room. It was mired in regulatory limbo for years before the FDA, in extraordinary fashion, reversed its own earlier ruling and allowed it to go into the market, thus realizing most GI doctors' propofol fantasies. The first medical center to embrace Sedasys has turned up in...Seattle, Virginia Mason to be exact. Otto Lin, M.D., the Director of Quality Improvements at Virginia Mason and also a gastroenterologist, proudly states that, "It really allows us to use propofol, which we believe is superior to midazolam and fentanyl, in outpatients without having the added cost of having the anesthesiologist administer the drug." Quite frankly, unless the anesthesiologists at Virginia Mason are employed by the hospital, Dr. Lin and the other GI's who work there may have trouble finding any anesthesiologist to back them up when, not if, an airway emergency occurs. Any anesthesiologist knows that once he steps into that procedure room, or even if he is within earshot of the impending disaster behind that closed door, the liability for the airway catastrophe instantly shifts to the anesthesiologist and away from the GI doc. Do they expect anesthesiologists to rush into an unknown and unstable situation at any time and just perform an airway resuscitation on a complete stranger out of the charitable goodness of our hearts? Anesthesia reimbursement for endoscopies have been steadily eroding anyway. Sedasys was approved by the FDA only for ASA 1 or 2 patients. Insurance companies have increasingly denied anesthesia payments for MAC administered to these relatively healthy patients. Therefore it probably isn't going to have a major effect on most anesthesiologists' incomes. Any anesthesiologist whose livelihood depends on giving anesthetics exclusively to ASA 1 or 2 endoscopy patients every single day probably isn't living up to the potential of his hard earned board certification and should probably move on to something more professionally fulfilling in his life. So let's see what happens now that Sedasys has been unleashed out into the wild. Will the cost savings really justify its exclusion of the potentially life saving presence of a second physician in the room? Will gastroenterologists accept full responsibility for a patient's airway calamity or will they still attempt to push the job to any anesthesiologist that just happens to be walking past the endoscopy suite? Only time, and a few unfortunate complications and possibly deaths, will answer that question.